If you were convicted of a DUI in the past and are now facing another DUI charge, you need to speak to an experienced Florida DUI defense attorney sooner rather than later. Do not display hubris by thinking you can arrange a plea agreement on your own. When you are categorized as a “repeat offender” (i.e. someone facing the same criminal charges multiple times) then you are at risk of receiving enhanced penalties, if convicted. Fourth DUI conviction – Mandatory thirty day jail sentence and up to five years in prison, on top of a complete loss of driving privileges (i.e. your license is revoked). If you were convicted of a DUI in a state outside Florida, understand that the prosecution can still count that as a prior and seek enhanced penalties. Even a prior boating under the influence conviction can be counted as a prior offense for purposes of enhancing your jail sentence. Prosecutors routinely request your driving records from other states, especially when the evidence shows that you moved to Florida from another state recently. In addition to legal guidance, an experienced DUI attorney can investigate the facts of your case and raise viable defenses that could create reasonable doubt with a jury. Remember, the burden is on the prosecution to prove that you were driving under the influence and must do so beyond a reasonable doubt. If you blew into an Intoxilyzer machine and were over the legal limit, you can challenge the results. For example, the machines can be adversely affected by Radio Frequency Interference (RFI) from cell phones, tablets, police radios, ambient temperature, and/or cigarette smoke. There is also the potential for user error, especially if the officer who administered the test is new or had not received proper training. In addition, if you work with or around chemicals like certain types of paint or come in contact with cement, you could inadvertently blow above the legal limit, even if you did not drink. As you can see, simply because you were charged with a DUI does not necessarily mean you should be convicted. Contact our law firm so we can begin advocating for you. The partners at Cotter & Zelman, P.A. possess over sixty-five years of combined legal experience and were former prosecutors. Let them put their knowledge and experience to work for you. 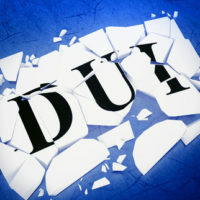 To schedule a free consultation with a Winter Park DUI attorney at our firm, call 407-629-4711 or contact us by email.